Wake Up - Chief Justice of India, President, Law Minister, PM Modi !!! 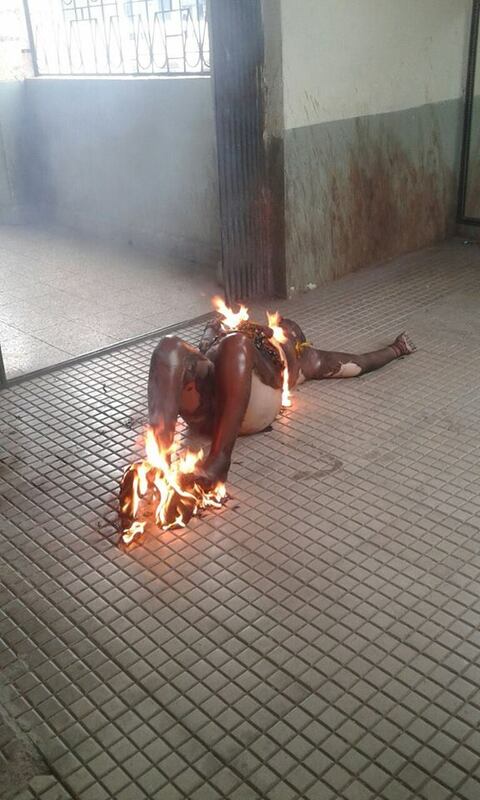 Shame ...to Corrupt Judges - This Poor Woman has BURNT HERSELF ALIVE IN A COURT in Maharashtra !!! SEE THE PHOTOS - POLICE IS NOT HELPING HER ! - POLICE IS NOT TRYING TO DOUSE THE FIRE !! - COPS ARE JUST WALKING AWAY FROM HER !!! Where is the Media ???!!! - Why Media is not Showing the Tragedy of this Poor Woman ???!!! Looks like she got FED UP of coming to the Court for Years...in her Land Dispute Case ?! Tarikh pe Tarikh...ka yeh Anjaam ???!!! 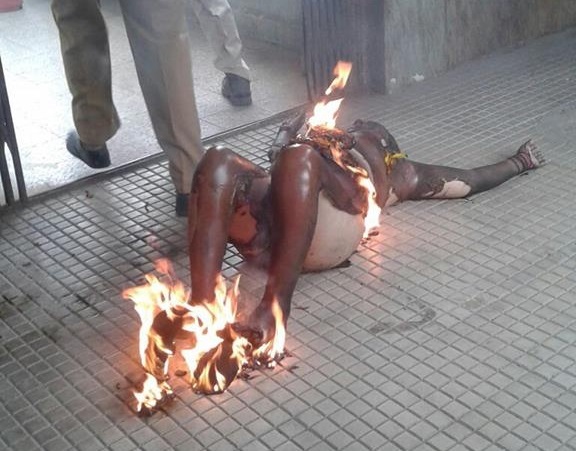 THIS IS HOW CORRUPT JUDGES & COURTS ARE KILLING POOR INDIANS !!! Enough is Enough...Wake Up - People of India - Because - Corrupt Judges are only Bothered about taking BRIBES !!! Mr. Chief Justice of Bombay High Court - Mohit Shah - the Judge who is 'Counter-Productive' & 'Non-Conducive' - for Administration of Justice as per SC Reports - is not Responsible for this as Head of all the Courts in Maharashtra ???!!! When Supreme Court says Mohit Shah is Not FIT to be Promoted as Supreme Court Judge – then WHY he has been kept as Chief Justice of Bombay High Court since so many Years ???!!! – TO KILL US POOR PEOPLE !!! 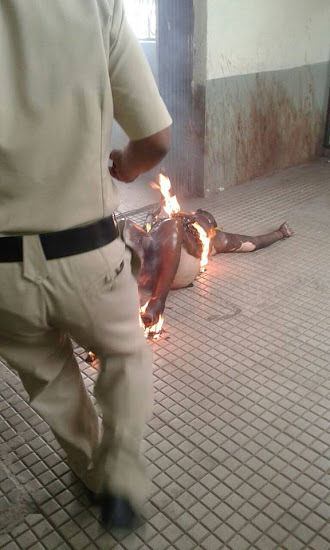 In front of Police in Court building such incident happening then why this Hell places we want. No Justice No Protection No Safe life. Wr giving them place to make our life miserable. Just blast this all places. Shame on this.....Advocate Shanti Teli says !! !